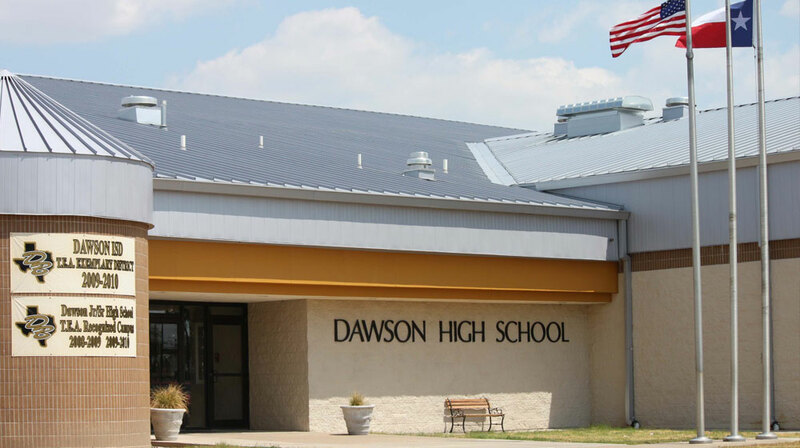 Dawson Independent School District (DISD) is a public school district based in Dawson, Texas. DISD serves southwestern Navarro County in Central Texas, including the unincorporated community of Purdon, Texas. An extremely small portion of the district extends into neighboring Hill County. DISD has one location that houses three campuses: Dawson Elementary (grades pre-k through 6), Dawson Junior High School (grades 7-8), and Dawson Senior High School (grades 9-12). The school district services 454 students with the support of 90 administrators, faculty, staff, and teachers. The educational landscape has been revolutionized by the integration of web-based content into K-12 curriculum. The exponential growth in the quality and sheer amount of multimedia content available through the Internet has created a requirement to deliver that content into the classroom to supplement and enrich classroom learning. In addition to supporting the network-related administrative applications of the DISD teachers and staff, the wireless network infrastructure needed to have the capability to deliver to the classroom bandwidth-intensive content including video, educational online games and multimedia materials without slowing down the network. Network access was needed in the offices and classrooms of the elementary, junior high and high schools, and in remote locations like the district’s transportation center, maintenance building, and fieldhouse at the high school’s football field. To deploy a wireless network in this complex environment would take a serious business-class solution. DISD needed a wireless networking infrastructure that would provide solid, reliable coverage throughout the offices and classrooms in each of the school buildings and across the campus to remote facilities that were up to 150 yards away from the main campus. Not only did the wireless network have to provide pervasive coverage throughout the property, it needed to deliver the performance required to support the school’s bandwidth-intensive applications. The deployment included EnGenius ECB9500 long-range Gigabit access points for in-classroom connectivity, and EOR7550 business-class 802.11a/b/g/n outdoor dual-radio repeaters to provide the campus-wide outdoor link for network access and bridging to the remote facilities. Thanks to EnGenius’ industry-leading long-range, wireless networking devices, DISD students now enjoy an enriched educational experience with the ability to access and reference the world of Internet-based information wirelessly from their classrooms and throughout the campus.